This article covers the issue of involving men in anti-sexual abuse advocacy. Many of the men and women in this article discuss how difficult it is to get men engaged in conversations regarding sexual assault. 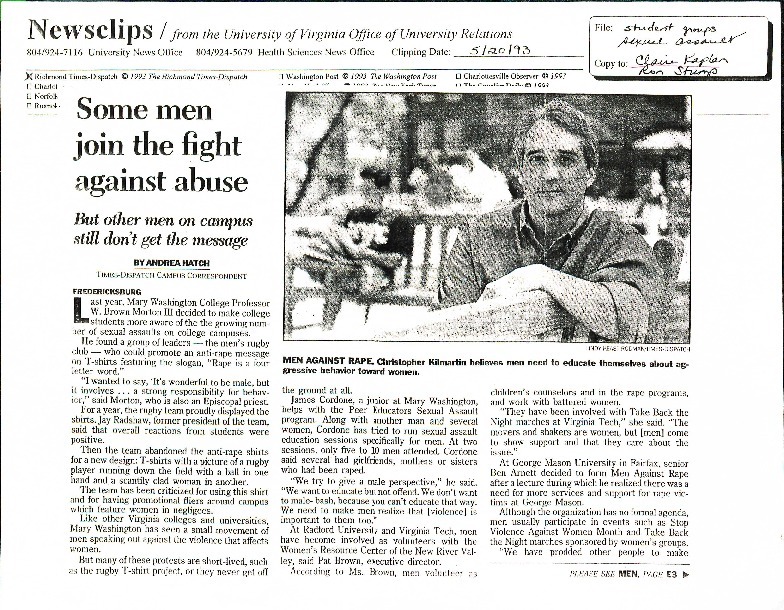 UVA's Southern Society, a group of men who confront alleged assailants of sexual violence, is also mentioned in the article.